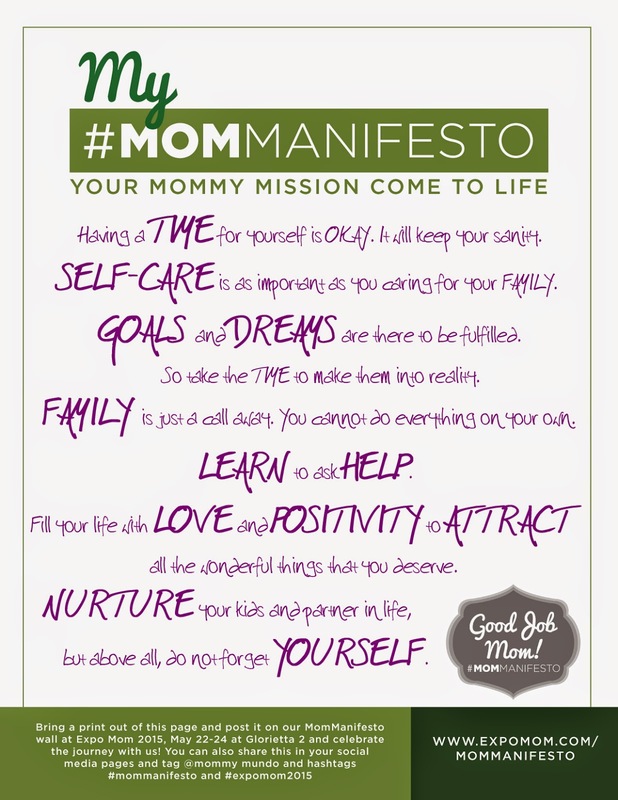 The final activity of the #MomManifesto online campaign has finally come to an end. The last activity sheet can be downloaded from expomom.com/mommanifesto. The 5 - week journey has nothing but fun, inspiring, and motivational for all who have participated, especially me. Although I haven't have my piece of experience to share when it comes to motherhood as Arya is still inside my belly, I have learned a lot from following participants, reading their stories and realizations. This made me more armed and prepare for what is to come when Arya arrives. Furthermore, this campaign helped me learn more about myself, my wants, and my needs as a soon-to-be mom and wife. I felt great working on my own #MomManifesto, this little piece of paper will soon be printed, frame and hanged on our wall, to remind me everyday of the things that I have to fulfill for myself, for my partner, and to Arya. From Rookie Mommy Ph to Mommy Mundo, thank you for making #MomManifesto2015 happen. Yaaay! #ExpoMom2015 is just a day away! Don't miss this wonderful 3 - day event happening on May 22 - 24 at Glorietta 2 Activity Center, Makati City. 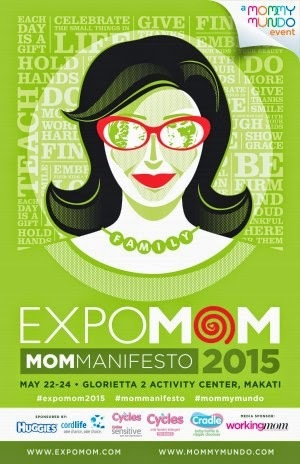 Expo Mom 2015 is a much awaited event for moms and soon-to-be moms as there will be talks, bazaar and activities that will surely make your mom-day-off a worth while. See you there, rookie mom! Another Round of Babypalooza Bazaar This 2015!